Are you getting the most out of your Wellfield Botanic Gardens Membership? Do you know there are a DOZEN reciprocal gardens within 2-hours’ drive of Elkhart? And that your membership will also get you discounts and promotions at local businesses? Are you curious about what’s NEW at Wellfield – – the construction projects, the programming – – and all the great things that give your membership value? There is a lot of excitement in the air as we begin our season and see the Gardens come to life. There is also a lot going on in the Gardens! If you have not visited in a while, or you just got a new membership and wonder what’s new, please think about joining Eric Garton, Robert and Peggy Weed Executive Director, for one of our complimentary membership orientation and update sessions. 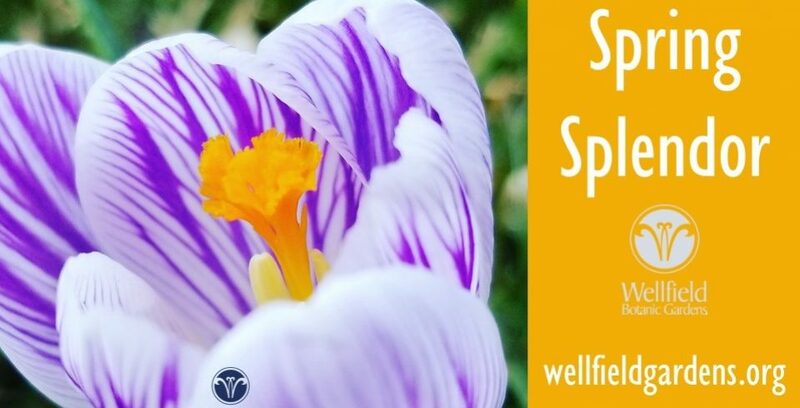 Designed for Wellfield Botanic Gardens members, these sessions are loaded with great information, updates on programming and construction projects, previews of upcoming events and the chance to ask questions. We also welcome your feedback on what you value from your membership, in addition to suggestions about how we can increase that value over time. All members and their families are welcome to attend. Whether you’re a brand-new member or have been enjoying membership for years, we promise you’ll go away knowing more about Wellfield and the value your membership provides. There is no cost to attend this 1-hour session and complimentary refreshments are provided. And you’re welcome to bring a guest who might be interested in membership at Wellfield! Location is weather dependent – we’ll be in the Gardens if the weather cooperates, or we will meet in the Visitor’s Cottage during inclement weather. We will be holding our first session THIS Saturday, April 15th, from 9-10am. We appreciate your RSVP, so that we may plan for adequate refreshments/seating. You can do that by clicking here, or by calling the Visitor’s Cottage at 574-266-2006. This entry was posted in MEMBERSHIP, PROGRAMS & EVENTS. Bookmark the permalink.